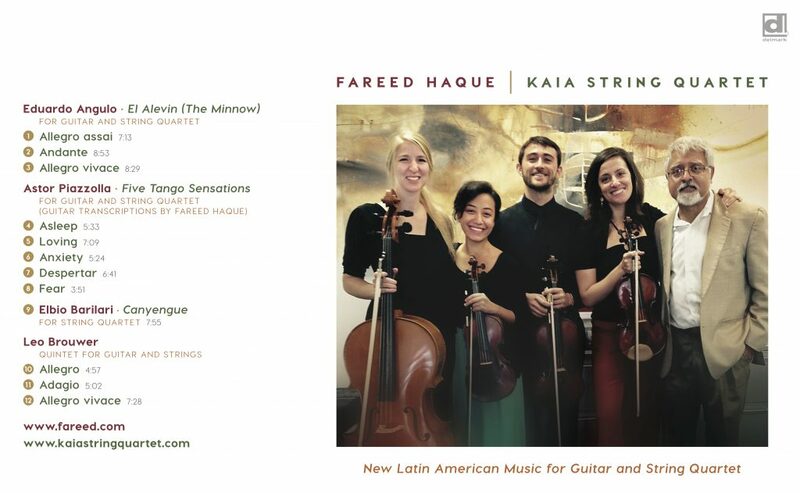 “Fareed Haque and Kaia String Quartet: “New Latin American Music for Guitar and String Quartet” (Delmark Records). Just as violinist Rachel Barton Pine acknowledges the indispensable contributions of African-American composers to classical music in “Blues Dialogue,” guitarist Haque and the Kaia ensemble do so with Latin American creators. It’s impossible to overstate the melodic beauty and rhythmic appeal of scores by Eduardo Angulo, Astor Piazzolla, Elbio Barilari and Leo Brouwer, each exploring a different facet of Latin American culture, and poetically so”, Howard Reich says.